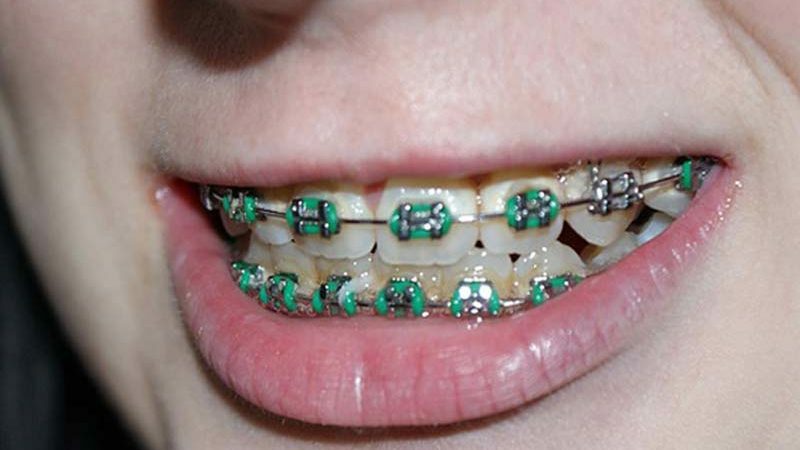 The first step to getting braces is usually to have the separators fitted. These are rubber bands that surround the teeth where the braces will go and are fitted to make a space for it, because few people have a space between their molars. They remain in place for a week before the braces are fitted. Once the separators have provided the correct spacing between the teeth the braces can be fitted. Brackets attach to the front of each tooth and wires are passed through them. They are tightened about each month, though sometimes it is longer depending on how much the teeth have moved. Once the correct position has been reached, the braces will be removed and a retainer put in place behind the teeth to hold them in place. Without this, the teeth may go back to their original position. The whole process will take several months, depending on the problem and how the teeth respond. Sometimes you may feel discomfort due to the pressure of the separators or the braces. This might last for a few hours or a few days until your mouth adjusts to the pressure. If this happens, you can take painkillers. Your dentist will advise you which ones are the best. While wearing braces, you’ll need to clean your teeth twice daily, because the wires tend to trap plaque and this can cause decay. The dentist may advise you to cut back on sugary snacks or have them just before it’s time to clean your teeth. While this might seem like a nuisance, it is a necessary part of having braces and caring for your teeth. Remember it won’t be forever and once your teeth are straight you’ll be a new person.